The season finale of Supergirl was the first time I've ever been just bored with this show. I kept wanting to check my email or clean the cat's litter box. If the purpose of a season finale is to leave you wanting more, I think this show kind of missed the mark. It wasn't terrible, just... meh. 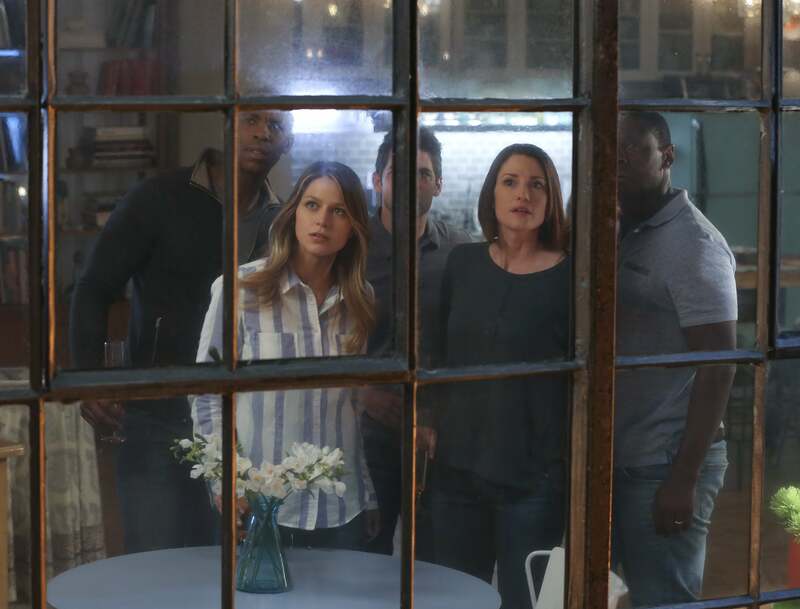 Supergirl's big selling point is that it's a show with a lot of heart, and last night's episode leaned on that idea so hard, it nearly fell over. There were so many heart-warming speeches in the episode, I started to feel bludgeoned by sentiment. Any one of those speeches would have been terrific. Even two or three of them would have worked just fine. But once you have ten or eleven heart-warming monologues about faith, family, believing in yourself, kittens, the power of hugs and slow jams, marshmallows, fuzzy blankets, and anti-oxidants, it starts to become self-defeating. Basically, in last night's "Better Angels," this show finally gave up on its weak point (villains, plots) and put all its chits down on its strong suit (characters, emotion). Unfortunately, the absence of compelling villains or an interesting plot made for an episode that felt self-indulgent rather than moving. And it was harder than ever to overlook some of the episode's silly contrivances, like the fact that Superman spends the whole adventure being comatose, represented by a pair of boots, and nobody makes a serious attempt to wake him. (Seriously. They don't even try. James Olson would probably know how to wake Supes, and nobody even asks him.) Superman finally recovers, off screen, in time to resume his recurring role as a series of encouraging text messages. So what actually happens in "Better Angels"? Norm and Indigo have triggered the Myriad device, turning everyone in National City into mindless zombies. Including Alex, who gets snapped out of it by a moving speech from her mum. Then Supergirl gives a moving speech on television (and puts an "S" symbol on people's phones, I guess) and talks about believing in yourself, and everybody else snaps out of it. So far, so good. I was into the episode at this point. Then Indigo talks Norm into just wiping out the human race, because if you can't enslave 'em, annihilate 'em, I guess. Norm cranks the Myriad wave up to 11, so everyone's head will explode, and there's a handy countdown for some reason. (The countdown is like six hours, but nobody pays attention to it until it reaches six minutes.) Supergirl decides she's going to go face Norm and Indigo alone, instead of bringing the (slightly) injured J'onn or trying to wake Superman. And after Max Lord gives her the opposite of a pep talk, she decides this is definitely a suicide mission (why? I dunno. Just roll with it) and says goodbye to everyone in her life, with a series of heartfelt speeches. Then of course J'onn goes along, and they win. I seriously know how you feel, guys. The bit where Supergirl summons her inner rage and out-heat-visions Norm, blasting him so hard that he's knocked out and blinded, is badass and almost rescues the episode from its own excesses. 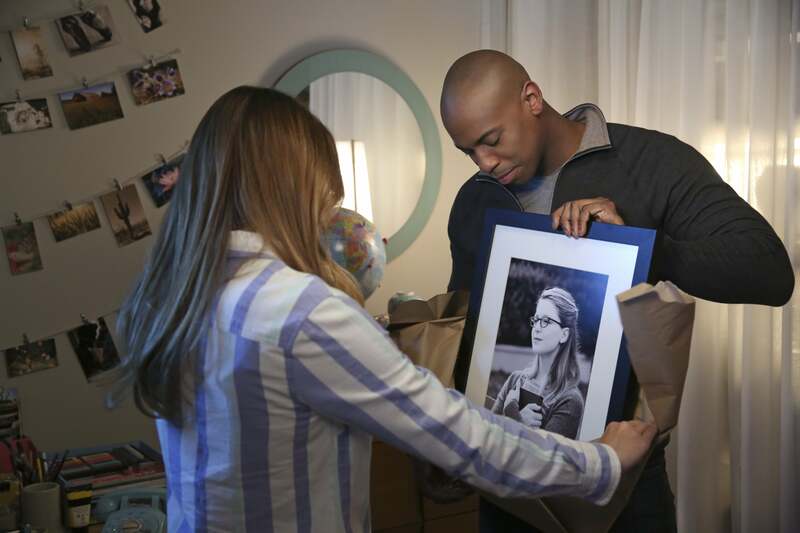 James' artsy portrait of Kara is pretty sweet though. 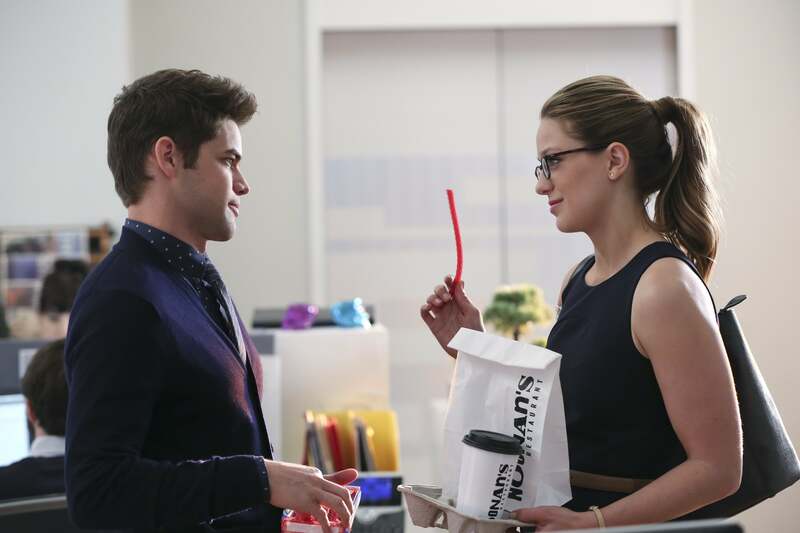 Cat Grant randomly decides to give Kara the weirdest promotion ever, first making Kara think she's being fired and then showing her into a windowless office and telling her that her job is whatever she decides it is. Okey dokey. Oh, and Max Lord gets some evil Kryptonian power source from General Lane, just to remind us that Max and the General are not super trustworthy. 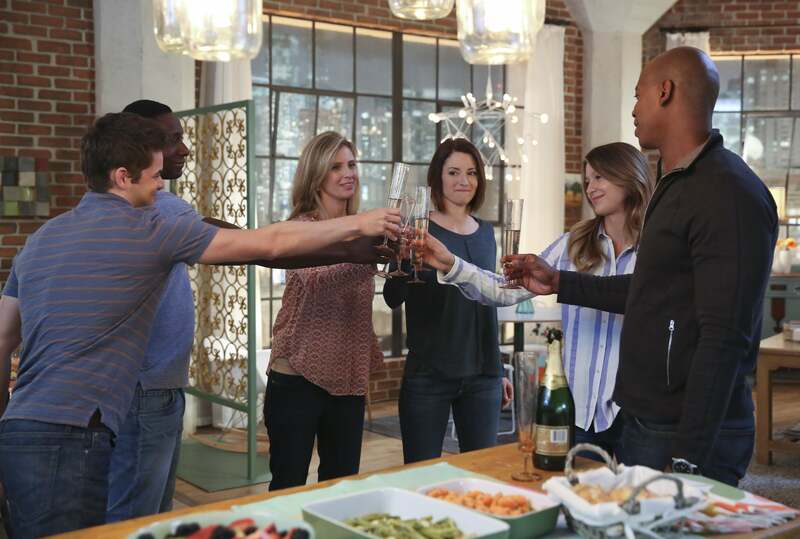 The episode ends with Supergirl and all her friends celebrating, and then she finally kisses James Olson when he's not a mind-controlled zombie. 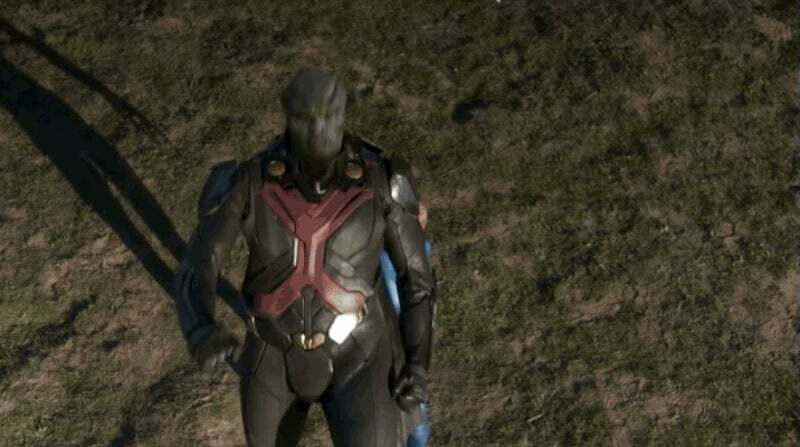 But then another Kryptonian spaceship crashlands on Earth, and the identity of the occupant is a HUGE SHOCK to Supergirl — but we won't get to find out who it is until season two. (If there is a season two.) I'm hoping for Beppo the Super-monkey. 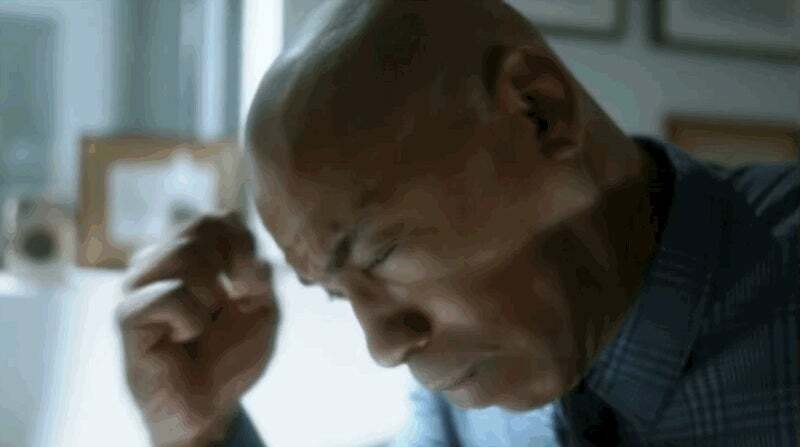 The J'onn Jonzz father figure thing is great, and one of the many things I hope this show gets to develop So if Supergirl gets a second season, this show really needs to find its feet and get better at telling stories. The cast is pretty much solid, and we care about pretty much all of the characters — which is usually the hard part for most shows — but the storytelling seems mired in a 1990s "comic book show" sensibility that seems odd, coming from the folks behind Arrow and The Flash. Looking back at this season, it feels like there were a lot of missed opportunities and pulled punches. 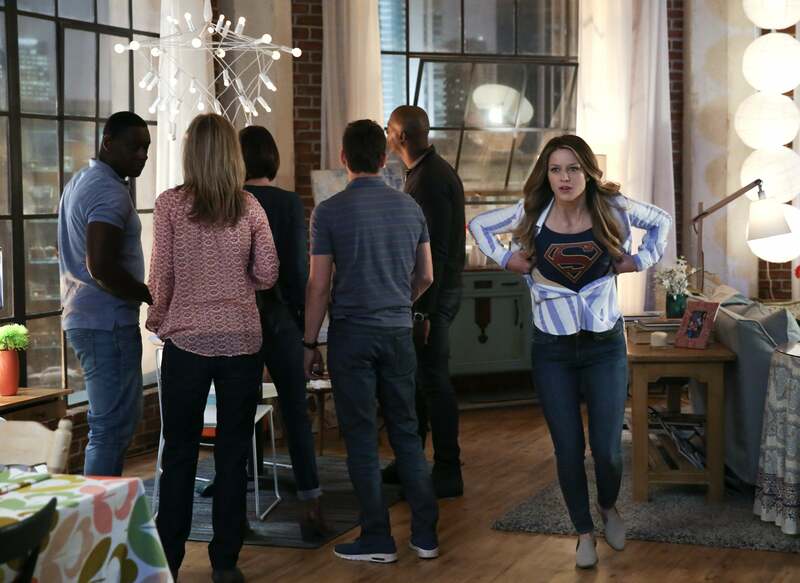 The whole "nobody trusts Supergirl after she turned evil" storyline, in particular, felt rushed — and the thing where all the fire-fighters and bystanders suddenly flock to Supergirl's aid and cheer for her felt somewhat unearned. The thing of ordinary people no longer trusting Supergirl felt like a huge challenge, that we needed to see her struggle with, and instead it was resolved with some hand-waving. The sad thing is that Melissa Benoist, among all of her many other talents, is really, really good at doing anger and darkness. She is one of the most versatile actors I've seen on television in ages, with incredible comedy chops, but she also can handle some really dark material. 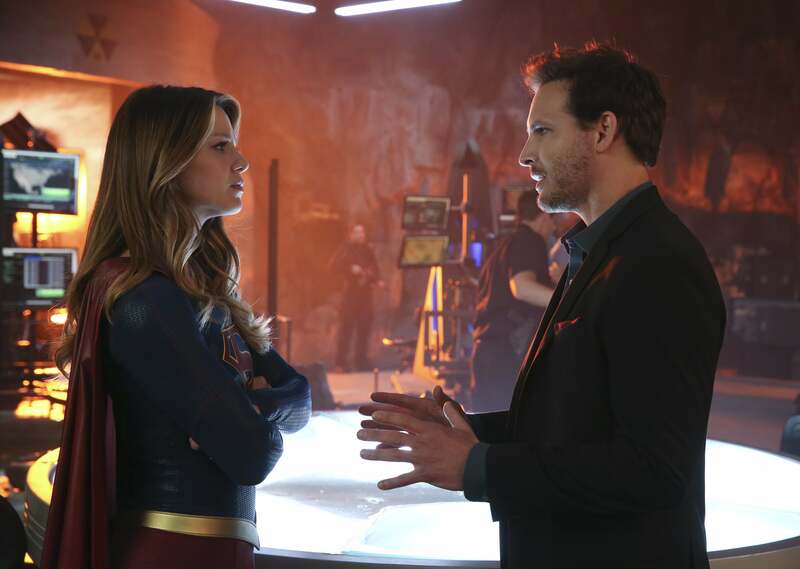 A lot of shows would have to work around the limitations of their lead actors, but Supergirl has the opposite problem: It's not taking full advantage of the amazing range of its star. And to some extent, Supergirl is missing the point of the old-school superhero comics it's been cannibalising. The sunny, cheerful superhero narrative isn't just about campy fun, but also about epic adventures. Especially if Supergirl doesn't want to go full-on Silver Age silly, the adventure needs to feel larger-than-life and exciting. Supergirl has pretty good fight scenes, but not enough buckling of the swash. So assuming that Supergirl does get a second season, here's hoping it raises its game somewhat next fall. All of the sweetness and light should absolutely stay — but they need to be balanced with a little bit more darkness and hurt, that isn't so easily surmounted. The villains need more fully developed motivations and agendas. Most of all, there just need to be better stories — stories in which surprising things happen, people are tested, and the resolutions aren't telegraphed, let alone semaphored. I'm not at all opposed to Supergirl being comfort food. Comfort food is awesome. But comfort food can be salty, and a little spicy, in addition to being pure candy. And I'm aware that this show, being on CBS, probably has a different set of limitations and expectations than all the superhero shows on The CW. But still, plenty of other CBS shows manage to be surprising and dangerous — like Person of Interest, Elementary, even Scorpion on occasion. And most of all, Supergirl needs to find a better solution to the Superman problem. I don't care what it is. Send Superman to the 30th century to hang out with the Legion of Super Heroes for a few years. Have him leave Earth on a long-term space mission, like he did before Superman Returns. Kill him off. Have him lose his powers due to gold kryptonite. Or just renegotiate with Warner Bros., to allow him to show up as an actual person from time to time, instead of a cape or a pair of boots. The fact that this show has mentioned Superman constantly (including in its opening credits every week) but can't show him, has been a constant drain on its credibility. Supergirl is already a fun show that just doesn't try hard enough — with a little bit more effort, it could be a grand adventure.